Vanderbilt has a range of student organizations that are involved in Latin American affairs. 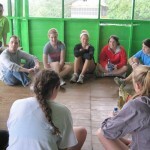 Many host trips to or conduct other forms of service for NGO’s located in Central and South America. A collection of some of these Vanderbilt student groups is listed below. 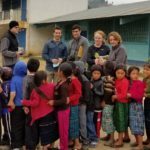 Click here to view photos from the Engineers Without Borders trip to Guatemala in January 2018 (shown left)! Vanderbilt Alternative Spring Break has various trips centered around culture and migration, including a trip to Nicaragua and a trip to Brownsville, TX. ASB focuses on education and reflection in addition to service, and offers dozens of different options for spring break trips. Manna Project brings teams of 13-month volunteers and short-term volunteers to work in one of its sites in Nicaragua, Ecuador, and Guatemala. Started by Vanderbilt alumnae when they were students, the organization seeks to establish a global network of Manna Project communities where young adults live and work alongside one another in under-served communities to initiate positive change. 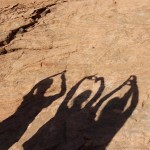 The Vanderbilt chapter takes various spring break, Thanksgiving, and other short-term trips to volunteer. The Inter-American Health Alliance (IAHA) is a US organization that provides financial & technical support to community health projects in Guatemala. IAHA works closely with partners in the US and Guatemala to create a sustainable network of support for our projects, improving health care access and health outcomes among marginalized populations. GlobeMed at Vanderbilt University partners with Dios es Amor in La Tablada de Lurin and Paracas, Peru to provide community-based healthcare. This year, GlobeMed at Vanderbilt has raised over $10,000 to fund Dios es Amor’s ongoing construction of the new clinic that will help bring health care to 100 families in Las Antillas de Paracas, Peru, an area that was devastated by a large-scale earthquake and disastrous tsunami in 2007. Volunteers Around the World (VAW) is devoted to improving the standard of living for those that live in some of the most poverty stricken communities of the world. The focus is to provide communities with access to medical treatment, medication, nutritional security, clean water, and health education. Vanderbilt’s chapter is a medical outreach internship that gives volunteers an opportunity to shadow medical professionals and work side by side with experienced doctors. Project Nicaragua is a secular, not-for-profit, student-operated volunteer organization whose mission is to improve the overall health and access to healthcare of the people of Nicaragua. The organization raises funds, collects donations, develops lesson plans for community development, and runs an annual trip to Nicaragua. Timmy sends medical service teams to support the work of international partner organizations, and channels financial, medical, and human resources to community based health and development projects. By serving, fundraising, and advocating on behalf of Timmy and our international partner organizations year-round, Timmy students at Vanderbilt are combating global health disparities from every angle. The Ecuador Project is an undergraduate ‘Maymester’ option at Vanderbilt. Students begin with a series of seminars at Vanderbilt to prepare them for the trip. They then volunteer with a local organization while they are in Ecuador. Sports Servants, started by a Vanderbilt graduate, is a group that wants to see sports ignite change in Belize. Sports Servants uses volunteers to train local coaches and leaders to organize soccer leagues for children and youth. In 2012, the Vanderbilt Microfinance Club partnered with the Belize Project, a nonprofit organization that is run from Nashville but based in Belize. Together, they are raising money to start a rice cleaning business for a women’s group in Belize.